Published April 9, 2018 at 9:44 a.m. 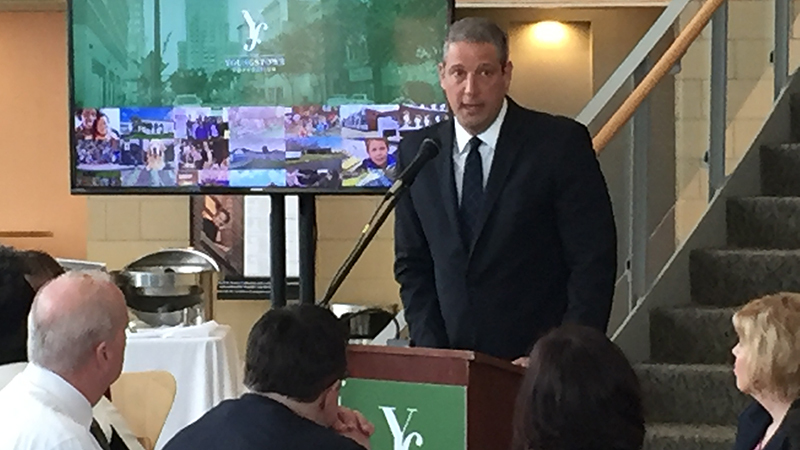 Updated April 9, 2018 at 10:03 a.m.
Photo by Robert K. Yosay | U.S. Rep. Tim Ryan speaks at Youngstown Foundation news conference. The foundation is increasing its support to nonprofits. YOUNGSTOWN — On the exact date of its 100th anniversary, the Youngstown Foundation announced it will increase its support-fund match to 10 percent. The support fund assists donors to maximize their charitable giving for their favorite nonprofits. It provides approved local charities the opportunity to receive an additional 5 percent add-on for qualified contributions to their organization. The award will be increased indefinitely to a 10 percent add-on. There are 77 local agencies enrolled in the support fund.